You are guilty of a Charlotte NC DWI if you drive a vehicle on a public street while impaired. While this seems pretty straightforward, it is not. Rather, NC DWI laws are very complex and require considerable focus. However, as with any crime, the State must prove guilt “beyond a reasonable doubt” to convict you. Just because you did it does not mean the State can prove you guilty. After all, we are on your side. And our job is to hold the State of North Carolina to the laws they write. So if they don’t follow proper procedure or violate the rights we all have, we are there to defend you. 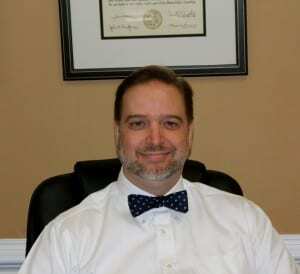 Charlotte NC DWI Attorney Robert J. Reeves is a seasoned trial lawyer with over 27 years experience. 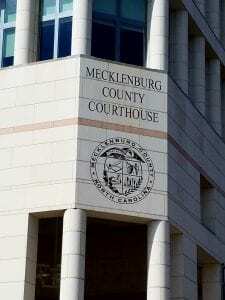 In his criminal practice, he focuses on DWI defense here in Mecklenburg County. Once he thoroughly reviews all evidence, he presents you with options and recommendations. If there are legal errors, he files Motions to suppress evidence or, in rare circumstances, dismiss your case altogether. Furthermore, Mr. Reeves listens to your questions and gives you straight answers. However, you make all decisions. While we guide you, you decide what is best for you and your family. While we are there to guide you, we always remember that we work for you. That’s just how we do things, and our clients seem to like it. While most people know about a limited driving privilege, you may also have another option, However, you have to act quickly. If you contact us within 10 days after arrest, we can file an appeal of your suspension with the court. In addition to getting your full license back, you also save $300.00. So how does this work? First, we file the appeal and then wait for the State to respond. Although they have up to 3 days, they typically waive this right. Consequently, we appear in front of a District Court judge and remove the suspension. As a result, you get your original license back, and you can drive without any restrictions. And best of all, there are no additional costs to you. Rather, we include this service as part of our flat rate attorney’s fee. Just remember you have to move fast or you lose this option. Following arrest, your driver’s license is revoked for 30 days. However, if you wait longer than 10 days, you can get a limited driving privilege (LDP). So how do you get one? Here is what you need. First, you have to get a Substance Abuse Assessment and pay $100.00. Although you do not have to complete the recommended hours, you do need the assessment. Next, you need a certified copy of your seven-year driving history (cost $7.00). And finally, you need a DL-123 insurance form from your insurance company. After you finish your part, we appear in front of a District Court judge with the LDP petition. Once granted, the LDP is your license and is valid for 20 days. 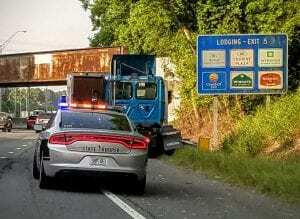 Afterwards, you pay a final $100.00 to reinstate your NC driving privileges. Now, we focus on the criminal part of your DWI arrest. When an officer has “reasonable suspicion” of criminal conduct, including traffic offenses, he can stop you. In addition, an officer can conduct a brief investigatory stop even if you have not actually broken any laws. However, the officer must describe specific facts to reasonably “conclude… criminal may be afoot.” In most cases, judges accept the officer’s articulated circumstances unless there is illegal racial or ethnic profiling. While “reasonable suspicion” is fairly easy, “probable cause” is a higher burden. Consequently, the officer conducts field sobriety tests and gives two portable breath tests at the street. 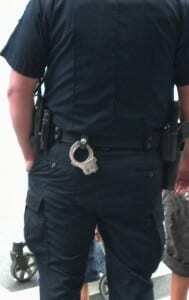 Depending on the results and other observations, the police then decide whether to arrest you. Then, we review their notes and findings to decide if they have followed proper procedure. If not, we move to dismiss your charges. However, even if the arrest is proper, we next evaluate the other aspects of your case for trial. In the end, the State must prove every part of your Charlotte NC DWI charge. WHAT TO DO IF PULLED OVER FOR A CHARLOTTE NC DWI? First, you have the “right to remain silent” and please do. But also be polite and respectful to the officer. After all, any erratic or emotional behavior is a sign of impairment that will come back against you later. However, you are not required to answer any questions about drinking. Secondly, you are not required to perform “field sobriety tests” and please don’t. Because these “tests” are difficult under any circumstances, you will “fail,” and any “mistakes” are used against you. Finally, you can refuse to submit to portable breath tests for alcohol and please do. Here’s why. Because it tests for alcohol, the result will prove alcohol in your system. However, the exact reading is not admissible in your Charlotte NC DWI case. Rather, only a positive or negative result is allowed. But for formal breath testing at the station is more complicated. Here, you can refuse, but the consequences are immediate and severe. Consequently, refusal results in an automatic driver’s license suspension for one (1) year. In addition, you cannot get a “limited driving privilege” for six months. And furthermore, the officer can then draw your blood with a warrant even against your will. Any other “aggravating” factor that increases offense. Level Five Punishment (“mitigating” substantially outweigh “aggravating” factors) – Jail (24 hours to 60 days, community service, or combination); Fine (up to $200). DWI 3rd and greater – better call us and sit down for this charge. Once stopped, officers usually ask if you have you had anything to drink? If you answer “yes,” the officer will ask you to attempt “roadside” field sobriety tests. While they may make it look easy, they have done it many times. However, you will not do as well and will “fail.” Although police use different methods (reciting the alphabet, counting backwards), there are only three (3) officially recognized tests. Hence, they are the horizontal gaze nystagmus (HGN), walk and turn (WAT), and one leg stand (OLS) tests. Although recognized by NHTSA, Mecklenburg County does not allow HGN test results. Since NHTSA relies on all three tests, the court’s approach is confusing but helpful. Furthermore, the other two tests are really just balancing “carnival” feats. And after years defending DWI cases, standing on one leg has nothing to do with driving a car. Rather than “divided attention” tests, juries should focus on video and judge how a client actually drives. Sometimes using a little common sense can go a long way. In North Carolina, it is illegal to drive with any level of alcohol if you are under 21. Period. Hence NC has a zero tolerance policy for “minors.” Furthermore, the punishment levels apply just like any other DWI. And there are fewer defenses. Rather, in these cases, we focus on whether the officer had a good basis to stop. In addition, we look at any confirmation of alcohol through a PBT. Furthermore, if convicted, your child will lose their license and pay higher insurance rates. Consequently, you need a Charlotte DWI attorney to help guide them through the process no matter what. While we do this everyday, we know court can be a little scary. Try not to worry. We will be there for you and beside you. You don’t have to do this alone.